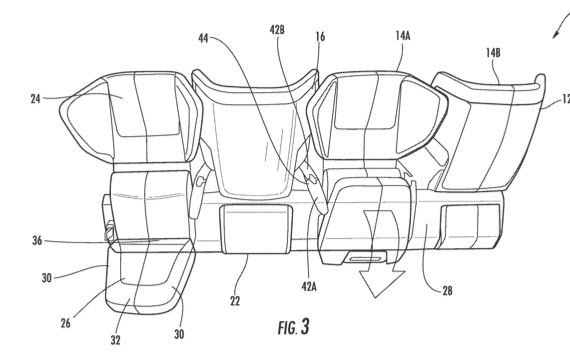 A patent for new airplane seats shows the middle seat turned around in an attempt to increase arm and shoulder space. Airlines and aircraft manufactures are continuously looking for new ways to pack passengers into planes like sardines. From installing narrower seats to exploring the idea of bicycle-like perches , there appears to be no end to what might be considered to maximize capacity on flights. The latest concept: a seating design that takes the already awful experience of being stuck in the middle seat and makes it worse… so much worse. 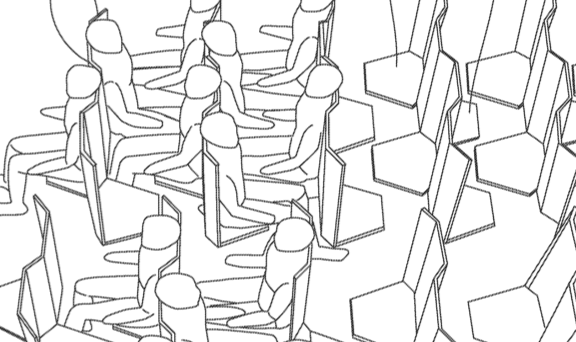 Wired reports that a recently approved patent [PDF] by airplane seat supplier Zodiac Seats France takes the middle chair and turns it around, creating an alternating seating pattern. The “Economy Class Cabin Hexagon” design essentially gives every passenger on the plane four seat mates instead of two. The new design creates alternating seat positions. That means if you’re lucky enough to be sitting between two people, you’ll now be lucky enough to look two others in the eyes for an entire flight. While facing the opposite direction of two seats you’re smushed between would likely give you a little more freedom to move your upper body, it doesn’t help the fact you likely won’t be able to completely ignore the two other people with little else to look at than your face. Of course, as Wired points out, there might be a few situations where facing other passengers might be helpful: if they’re your family or friends or you’re just looking to chat up a fellow traveler. Though the patent certainly gives us a small glimpse into the creative means for which the airline industry is looking to maximize limited seating space, Zodiac hasn’t made any public plans to take their new design to the skies. In order for the Hexagon design to make it to the masses, it would first have to undergo an array of safety and compliance tests, not to mention the extremely dirty looks many travelers would surely throw such a design.